Arguably, no publisher in the world has the iconic cachet of Penguin, the legendary British house founded by Sir Allen Lane in 1935. Lane’s goal was to produce affordable mass-market paperbacks that were of higher quality than what was widely available at the time. Penguin’s logo and the line’s original horizontal grid design – two coloured bars divided by a bar of white – were created by Edward Young, a 21-year-old junior staffer. More than 80 years later, Penguin has plenty of competitors, but Young’s clean, simple vision, still used on occasion, remains beloved by readers and recognized around the world. It’s Penguin’s iconography that makes its latest venture more than just a bookstore. 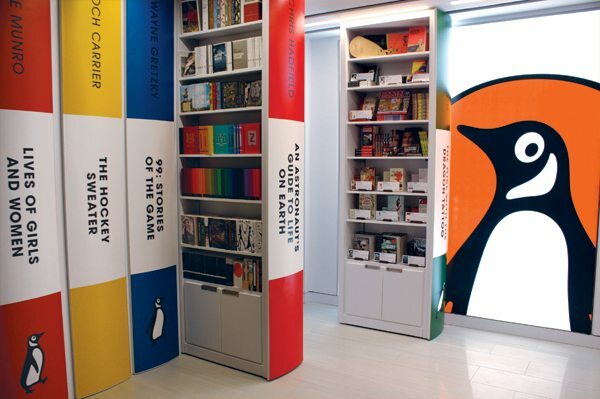 Located in the lobby of the Toronto skyscraper that Penguin Random House Canada calls home, the Penguin Shop is the publisher’s first permanent branded store. The 158-square-foot space (formerly a shoe-repair stand) makes the most of its small dimensions. Four hidden bookshelves slide out from one wall, which means that stock can be rotated almost instantly. The end of each bookcase is capped with a classic Penguin spine – when all the shelves are pushed in, the wall resembles a row of eight-foot-high books. (Three additional panels open to reveal a cash register and additional stock.) The spines are magnetic, allowing the titles on them to be quickly changed. 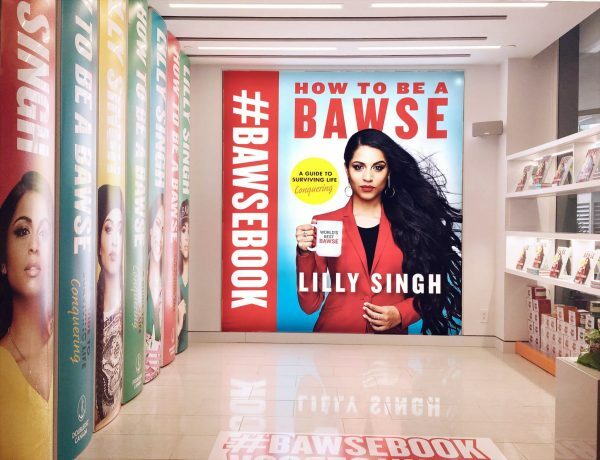 While the number of titles able to be stocked in such a small space is obviously is limited, books are complemented with Penguin-branded merchandise, including lapel pins, notebooks, mugs, and travel tags. The store is a work in progress: the hours will be adjusted to meet the needs of customers through experimentation, and it will occasionally take over the building’s lobby for special events. 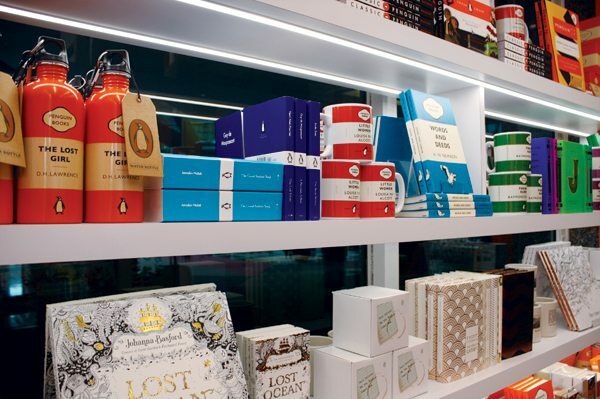 The Penguin Shop is staffed by one permanent employee, assisted by rotating volunteers from the office above, allowing customers to interact with the editors of their favourite books – and possibly catch a glimpse of the book’s author passing though on the way to a meeting.